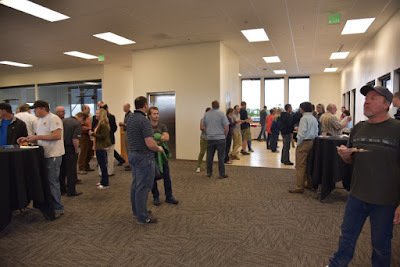 Apogee recently held an open house to celebrate our 20th anniversary and the completion of our expansion project that tripled the size of our headquarters. Joining us on May 10th, 2016 were many great university colleagues, customers, partners, neighbors, construction workers, and family members. 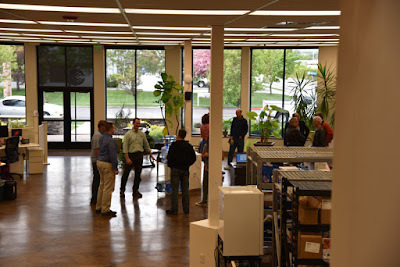 After a brief speech by company president, Dr. Bruce Bugbee, the staff provided tours of the new facility including our expanded ESD-protected production area, an improved loading and shipping area, a machine-shop, a climate-controlled calibration lab, a photo/video studio, several engineering offices, a beautiful employee break room, a state-of-the-art classroom, and a museum of antique weather instruments. 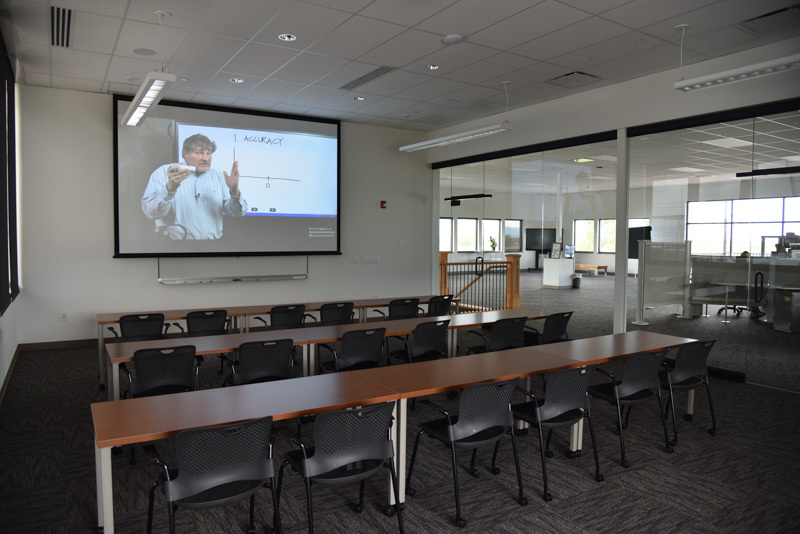 The new facility features a highly-efficient design with large windows to utilize natural light, enhanced insulation, radiant floor heat, and louvered architectural awnings that are precisely angled at 22° to provide shade in the summer and allow the sun to pass through in winter. 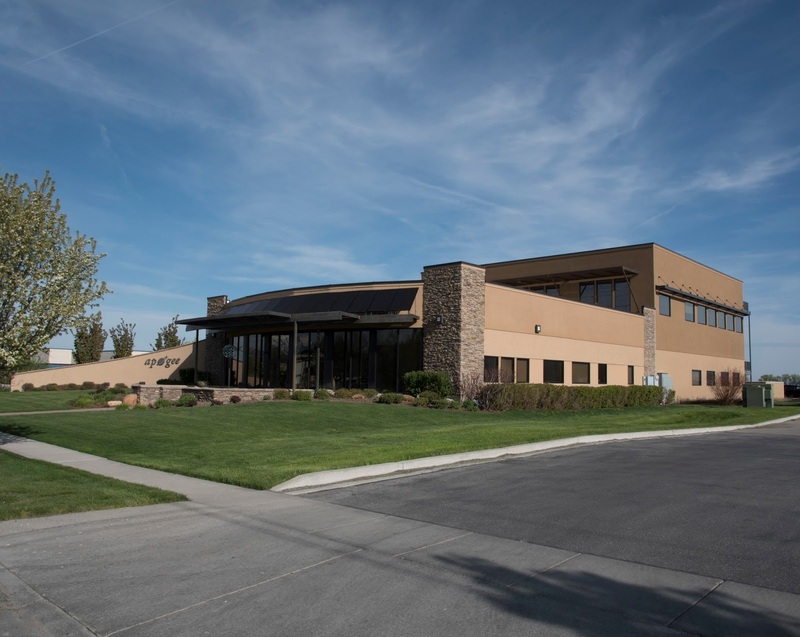 Along the front of the building, 17 new solar PV panels were added in a continuous arc to blend with the style of the facade. To monitor the many new building control systems, several Apogee sensors were installed, including infrared radiometers, thermistors, and pyranometers. Apogee has come a long way since our beginning at Bruce Bugbee’s kitchen table. The newly expanded Apogee Instruments headquarters building located at 721 West 1800 North, Logan, Utah, 84321. 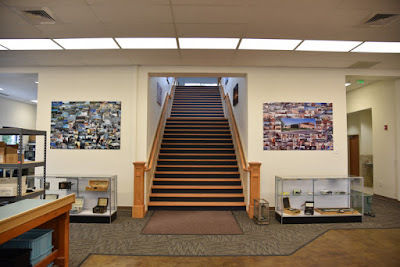 The two-story section in the back was completed in April, 2016. 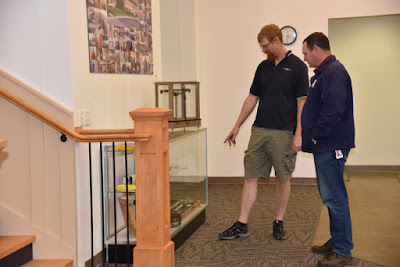 Jacob Bingham, Apogee's Technical Manager, explains some of the instruments in the Apogee museum to an open house guest. 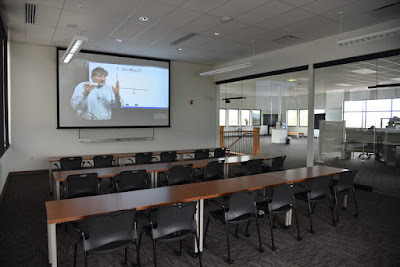 One of our new webinars playing on the screen in our new classroom. Looking up our new staircase that leads to the engineering and R&D lab. Devin Overly, Apogee COO (green shirt) greets several open house guests. 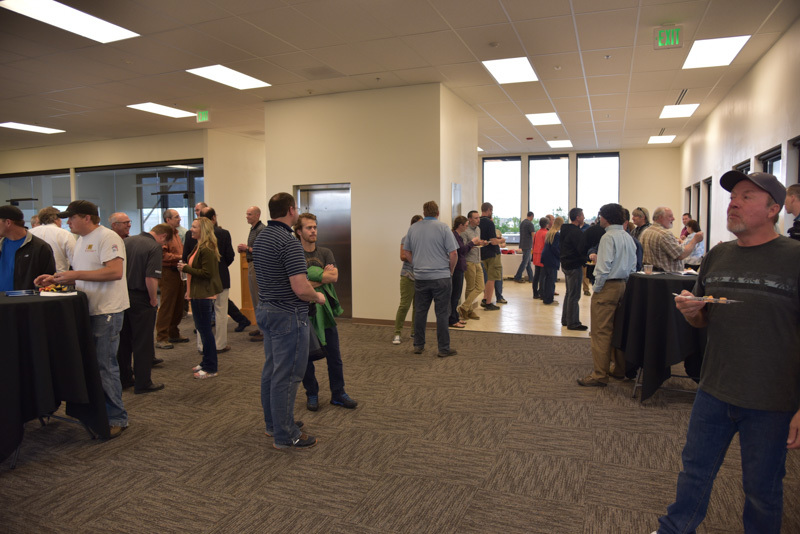 Guests enjoying the open house Hors d'Oeuvres in the new employee break-room. 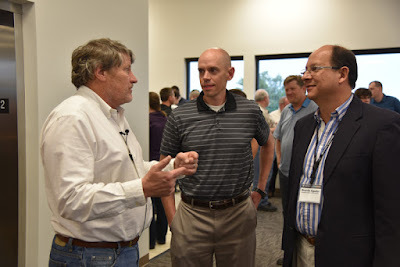 Dr Bruce Bugbee talking with Rob Campbell, the new president of Campbell Scientific, and Ricardo Aguilar, of CS Centro Caribe. 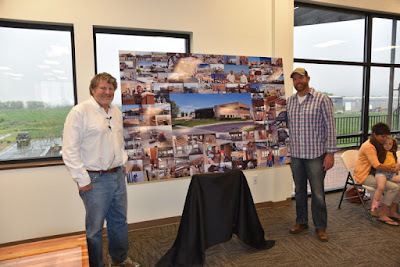 Dr Bruce Bugbee and Mike Stettler posing with a mural commemorating the building expansion construction process. Mike was the general contractor for the project. 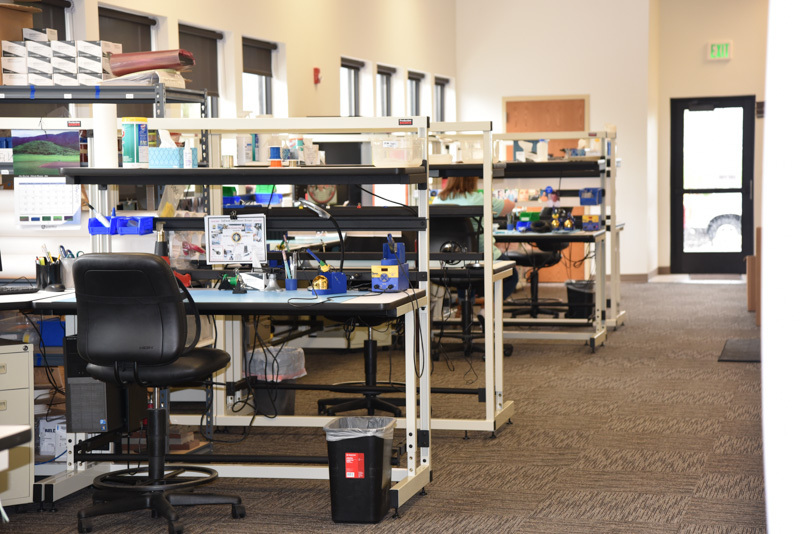 Stations in the newly expanded, ESD-protected production area. 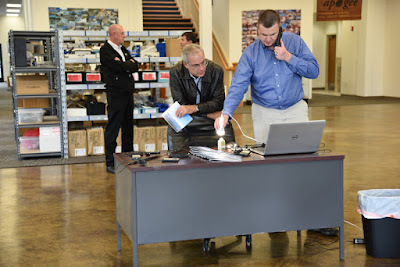 Damon Nitzel, head of International Distributor support, demonstrates the new Apogee SS-110 Field Spectroradiometer for Andrea Deho of Campbell Scientific Brazil while Brian Day of Campbell Scientific Canada and DeVon Labrum of Juniper converse in the background..